Looking for the ultimate birthday card to give a geocacher? Categories: Geocoins, Standard/Oversized/Misc., Trackable Products, Holiday Coins/Tags/Misc. 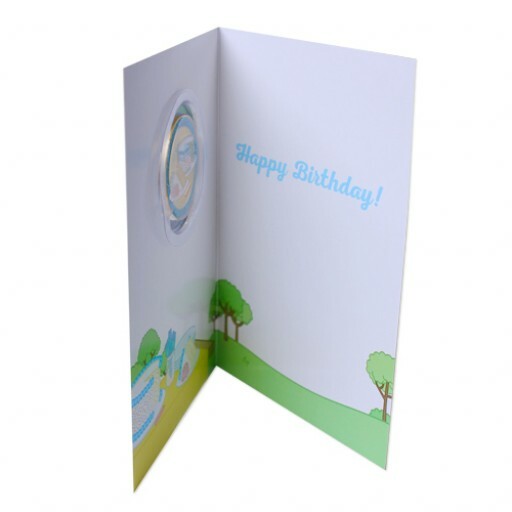 Looking for the ultimate birthday card to give a geocacher? How about one with a geocoin in it! Sure, some birthday cards sing or light up or have nice messages, but this one has a geocoin in it! 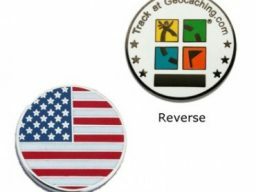 Make it a special day for the geocachers in your life with this super cool card and coin combo! 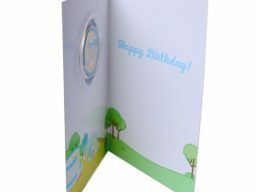 This set includes a standard size greeting card and envelope, along with a full size Geocoin. Please note: This card would require additional postage if it is mailed. The Geocoin comes in an acrylic sleeve that sits in a window in the card, showing one scene on the front and the other scene when the card is open. 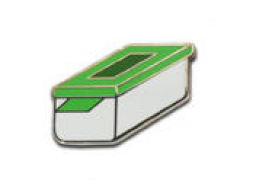 It is trackable at Geocaching.com (the tracking number is on the side) with a unique icon. The sleeve can easily be removed to send the coin on adventures. 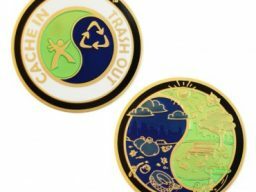 Geocoin is approximately 1.75 inches in diameter. Card is 5 inches x 7 inches.